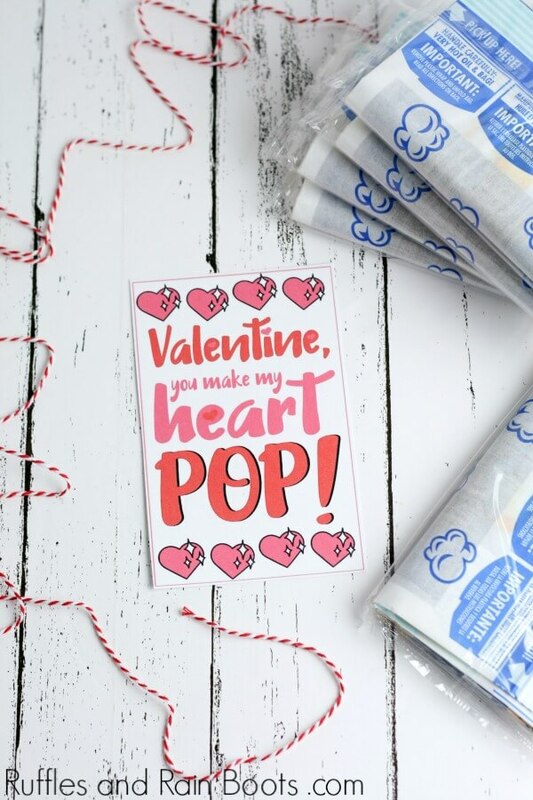 This easy and fun popcorn Valentine printable is perfect for a non-candy Valentine for the classroom or a party. Print it off and make them in just minutes! Here at Ruffles and Rain Boots, I’ve mentioned how much I love easy and fun crafts. Every year, we design a few Valentines for my daughter’s classroom Valentine exchange, and this year is no exception. One of my favorite treats just happens to be a kid-favorite, too: popcorn! Who doesn’t love popcorn? Whether it’s popped on the stove, over a fire, or in the microwave, kids go crazy for the stuff. 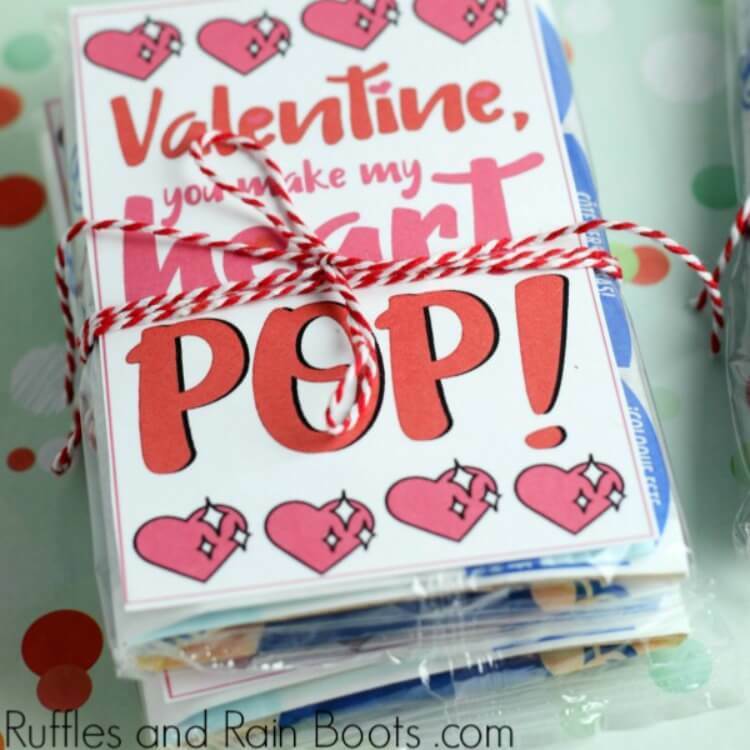 So why not make a few of these fun non-candy Valentines? 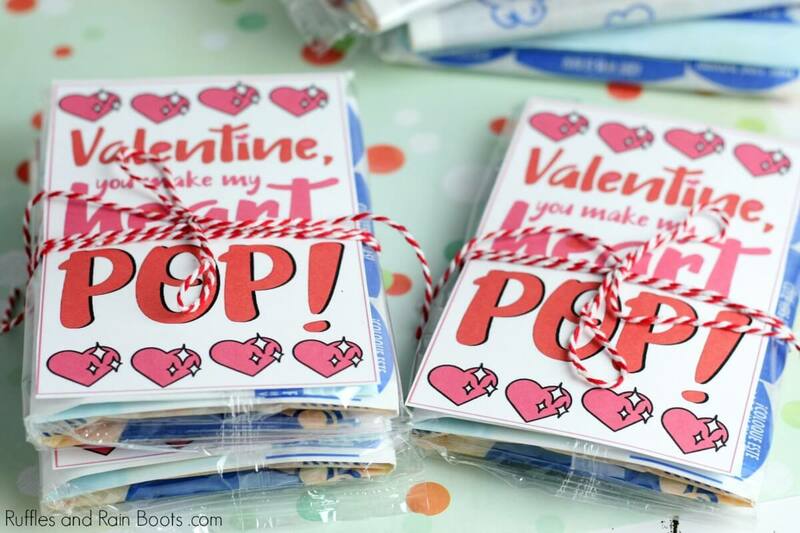 These are very quick to put together which makes them a perfect classroom Valentine. I recommend cutting out the printable cards with a paper trimmer to make them ridiculously easy! Depending on how many you have to make, consider setting up an assembly line as we detailed in our glow stick printable Valentines. 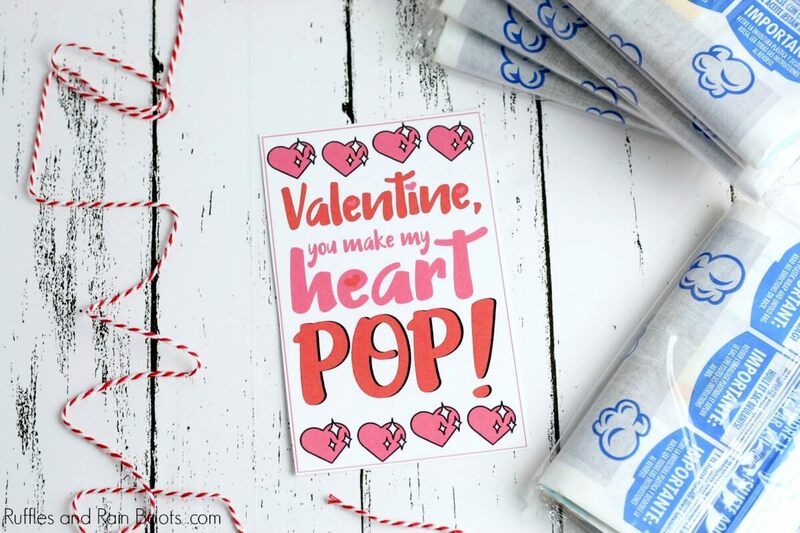 Print out and cut each popcorn printable Valentine card. Use a paper trimmer if you have a lot to make. Using either tape or twine, layer the printable on top of the popcorn bag and secure it. 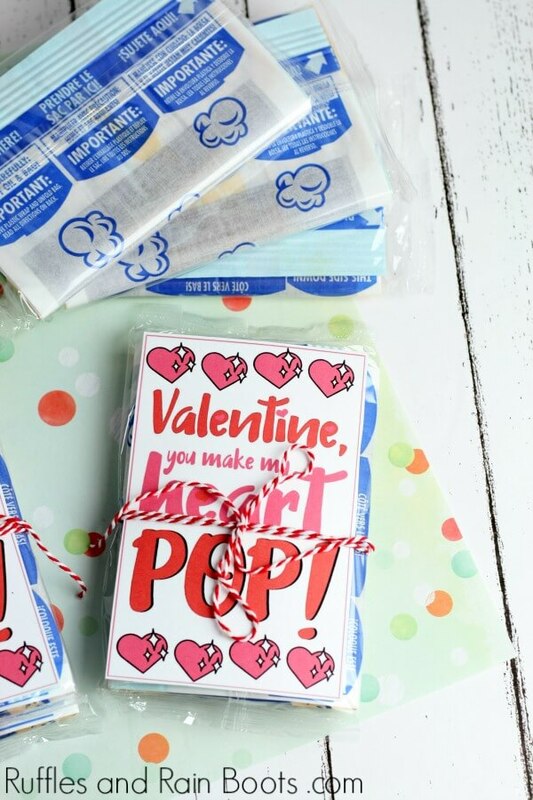 Your easy popcorn Valentines are ready for gifting! 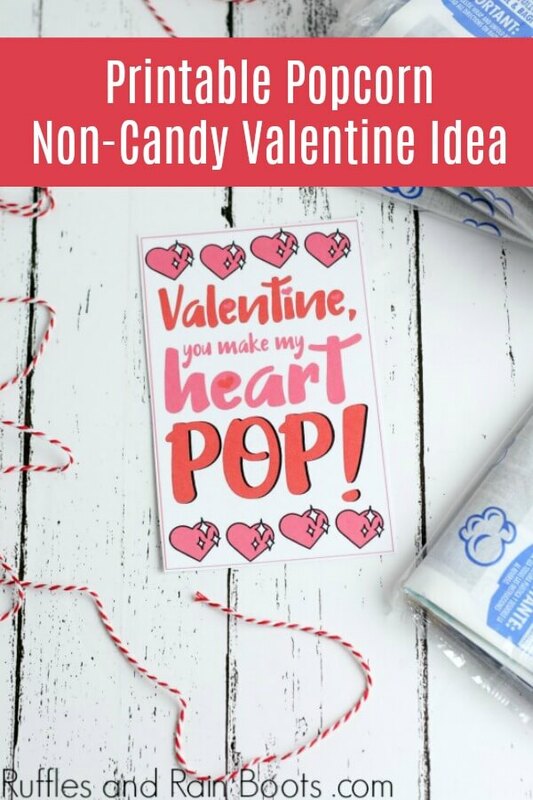 Isn’t it such a cute non-candy Valentine idea? Glow Stick Valentine Printables – the kids LOVE this one! Printable Unicorn Valentines – Cute, bright, and magical! Otter Valentines Printable – So many fun puns! Easy Printable Bear Valentines – Adorable and always a favorite!